We are super excited about our new Family Summer Escape Offer at the Royal Marine Hotel. 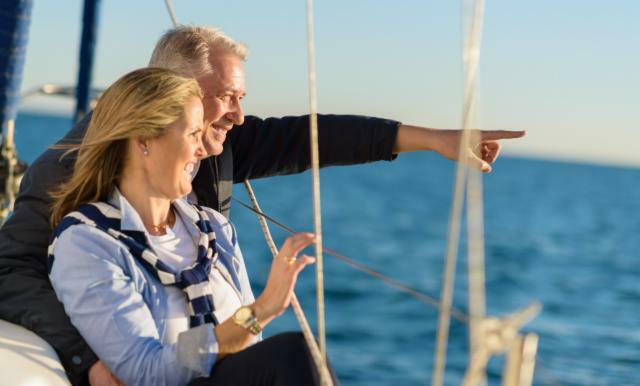 Enjoy a 2 night stay with a cruise of Dublin Bay with Dublin Bay Cruises! There is lots to see and do for families in Dublin! So we are hoping the sun will shine and we can get outdoors this May Bank Holiday Weekend. There is lots to do and see outdoors close to Dun Laoghaire. We at the Royal Marine Hotel are delighted to announe that we are partnering with Cabinteely FC and will be the club’s official hotel partner for the next three years. We look forward to working with the club with events and fundraisers over the coming months and years ahead. Excitement at sansanaSPA as we launch our new Treatment Menu!! We are delighted to launch our new Treatment Menu at sansanaSPA. To celebrate the launch we invited attendee's last night to the Spa to experience some of the treatments, the feedback was amazing and we hope everyone had a great night. All our siganture ranges, VOYA, Pevonia & Dermalogica have some new offerings and we are beyond excited to tell you about them! Christmas Markets & Ice Skating coming to Dún Laoghaire!! The Royal Marine Hotel are delighted to invite prospective employees to our open day on Tuesday Ocotber 26th from 5.00 - 7.00pm. No appointments are necessary, please come along on the day with your CV and members of the management team will be on hand to meet with you. Currently employing a staff of over 140, positions available include; Accommodation Assistants, Bar and Waiting staff within all areas of the hotel including our Conference and Banqueting, Dun Restaurant, Hardys Bar and Bay lounge. Summer is the season to relax and spend quality time with your loved ones. The Royal Marine Hotel has listed your favourite local summer events around Dun Laoghaire. It's outdoor dining season and as the sun shines our event planners, corporate companies and private groups contact the hotel in search of the venue to host the perfect BBQ. As most of us are not accustomed to sunshine in this country we are a bit scared of organising BBQ's. The grounds at the Royal Marine Hotel and seaviews are attractive for organisers and with a back up of the Carlisle Suite on stand by we have had great experience.The gardens which overlook Dublin Bay can be transformed into your own event space and the backdrop of the front façade of this historic hotel with the traditional bandstand and the view across the water features in the New Central Library for Dun Laoghaire, the LexIcon, make any outdoor event at the Royal Marine a special and occasion of prestige in an utterly unique setting. Our experienced events & catering team will assist you in developing any type of outdoor event that you wish to host and will ensure that your guests or clients enjoy a memorable event. Recruitment Open Day - Know anyone looking for a job? The Royal Marine Hotel are delighted to invite prospective employees to our open day on Tuesday March 29th from 4.00 - 6.00pm. The Hotel is delighted to announce job vacancies in the hospitality sector created due to an increase in business levels. In line with the Irish hotel sector in general the Royal Marine Hotel has seen robust growth. In fact, the sector is reporting the strongest year on year growth out all of the 11 sectors evaluated by Manpower Recruitment. Currently employing a staff of over 140, positions available include; Accommodation Assistants, Receptionists, Spa and fitness staff, Bar and Waiting staff within all areas of the hotel including our Conference and Banqueting, Dun Restaurant, Hardys Bar and Bay lounge and also Chefs of all levels. Weddings Online Awards 2015 - We've been Nominated!! The Royal Marine Hotel & the outstanding Maeve Breslin have both been nominated for the Annual Weddingsonline Awards. Are you Adventurous? Do you want to challenge yourself? Do you want a Fun Dublin sailing experience? Go Sailing Dublin Bay is an exciting and unique sailing adventure where you get to sail a 54 foot ocean-going yacht in the Bay area and see Dublin from a completely different perspective. Underground cinema, in association with the Dun Laoghaire Harbour Company, will launch Dublin's first drive-in cinema this bank holiday weekend. Come and see the Grand Master of Comedy Brendan Grace at the Royal Marine Hotel on Wednesday 5th February. “Nollaig na mBan” or “Little Women’s Christmas” is an old custom that’s still celebrated by women all over Ireland. It goes back to the days when large families were the norm. Men never lifted a finger in the house to help, and were never expected to. If a man washed the dishes, he would be called an “auld woman” by other men. No full blooded Irish man was prepared to risk that! But each year, after the Christmas holiday, tired women finally got a break – for one day, at least. On January 6th (the same day as the Epiphany), men would take over of the housework, offering women a chance to go out to relax with each other. Christmas whitewashing: Around Christmas time, you’ll still find the odd farm building out in the Irish countryside that looks like it’s just been whitewashed. Long ago, farm families cleaned and then whitewashed every building on the farm in December. They were covered in white paint or limewash, to symbolically purify them for the coming of the savior. The tradition traces back thousands of years, not just through Celtic culture, but through other Central European cultures as well. What makes Dublin different? It’s not one thing, it’s a million different things. It’s all about the Dublin character and characters, the energy and vibrancy of Dublin as a world class business tourism destination for planners and delegates alike! Jonathan here again from Commit To Be Fit based out of The Pier Health Clubin the Royal Marine Hotel, Dun Laoghaire, Co Dublin. As promised, we're keeping the Hints & Tips coming! Irish Halloween TraditionsThe Celts celebrated Halloween as Samhain, ‘All Hallow tide’ - the ‘Feast of the Dead’, when the dead revisited the mortal world. The celebration marked the end of Summer and the start of the Winter months. Colcannon for Dinner:Boiled Potato, Curly Kale (a cabbage) and raw Onions are provided as the traditional Irish Halloween dinner. Clean coins are wrapped in baking paper and place in the potato for children to find and keep. The Barnbrack Cake:The traditional Halloween cake in Ireland is the Barnbrack which is a fruit bread. Each member of the family gets a slice. Great interest is taken in the outcome as there is a piece of rag, a coin and a ring in each cake. If you get the rag, then your financial future is doubtful. If you get the coin, then you can look forward to a prosperous year. Getting the ring is a sure sign of impending romance or continued happiness. The Pumpkin:Carving Pumpkins dates back to the 18th Century and to an Irish blacksmith names Jack who colluded with the Devil and was denied entry to Heaven. He was condemned to wander the earth but asked the Devil for some light. He was given a burning coal ember which he placed inside a turnip that he had gouged out. The tradition of Jack O’Lanterns was born:The bearer being the wandering blacksmith – a damned soul. Villagers in Ireland hoped that the lantern in their window would keep the wanderer away. When the Irish emigrated in millions to America, there was not a great supply of turnips so pumpkins were used instead. Halloween Costumes:On Halloween night, children would dress up in scary costumes and go house to house. ‘Help the Halloween Party’ and ‘Trick or Treat’ were the cries to be heard at each door. This tradition of wearing costumes also dates back to Celtic times. On the special night when the living and the dead were at their closest (31st October is All Souls Day - 1st November is All Saints Day), the Celtic Druids would dress up in elaborate costumes to disguise themselves as spirits and devils in case they encountered other devils and spirits during the night. By disguising they hoped that they would be able to avoid being carried away at the end of the night. This explains why witches, goblins and ghosts remain the most popular choices for the costumes. After the visits to the neighbours, the Halloween games begin, the most popular of which is Snap Apple. An apple is suspended from a string and children are blindfolded. The first child to get a decent bite of the apple gets to keep their prize. The same game can be played by placing apples in a basin of water and trying to get a grip on the apple without too much mess! Follow them or FAIL! !Step 99. Train smart to avoid injuries - "No Brain, No Gain"
We got a mention on this weeks Prudence eZine Travel - Banish the winter blues with a night’s B&B in the four-star Royal Marine Hotel in Co Dublin. Your stay in the luxury hotel also includes dinner, a spa treatment and access to its thermal suites, plus free movies on demand in your room and complimentary chocolates – prices start from €109 per person sharing. Are you brave this year? Fancy a Ghost Bus Tour? 12 Training rules for Weight Loss - Follow them or FAIL!!! Sports Massage isnt just for athletes! Sports massage is also good for people with injuries, chronic pain or restricted range of motion. The Treatment will generally concentrate on a specific problem area with a view to identifying the cause of the problem and treating it. Call 01 2712560 to book your consultation! The Royal Marine Hotel are attending the Over 50s Show in the RDS from Friday 12th - Saturday 14th October 2012. Our Christmas Cabaret Stars will be over the weekend - Paddy Cole, Noel V Ginnity and Sonny Knowles. Images from the Royal Marine Wedding Fayre 23rd September 2012. Table Set up. If you know of any Brides & Grooms looking for Venues, let them know! Lots of Special Offers on the day! Check out what we have just come across.... A Picture of Laurel and Hardy on Facebook! They stayed at the Royal Marine Hotel back in 1953 for 33 days from 9th September until 13th October while performing at the Olympia Theatre :-) Great picture!!! Rumour has it that they befriended our Concierge during their initial brief stay and decided to stay longer. They got to know the staff and found out that a member of staff had a sick child so Laurel & Hardy stayed longer and did a charity gig in the Olympia Theatre. How nice! Other guests over the years included many Heads of State, Kings, Queens and celebrities including old blues eyes Frank Sinatra and Charlie Chaplin. The British Queen Victoria had a 16 course breakfast when she arrived off the boat at Dun Laoghaire and even Irish Freedom Fighter Michael Collins is believed to have hidden out in Room 210 with Kitty Kiernan. Is it too early to think about Christmas? Congratulations to Christyna Williams our Competition Winner : ) Prize: Dinner in Dùn Restaurant for you and 3 of your friends with a complimentary cocktail each!!! Christyna, Please send us a message on our Facebook page with your home address in order to receive the voucher. Competition Time - Super Prize !! Dùn RestaurantIt's competition time in the Royal Marine Hotel. We posted details about the competition on facebook a couple of days ago but overlooked Facebooks guidelines, so we've moved everything over to our blog :) So far, there has been huge interest in the competition but there's still time to enter. PrizeWIN Dinner in Dún Restaurant for you and 3 of your friends. We'll also include a complimentary cocktail each. The winner will be announced a little earlier than previously mentioned. We're so excited about this prize that we can't wait until the 31st July. The closing dates is now Sunday 15th July Midnight. All you have to do is answer the following question......Question: Throughout the last few decades, various people have stayed in the Royal Marine. Frank Sinatra, Queen Victoria, Danny Kaye and Guglielmo Marcoi. What we would like you to tell us is the following. How Many Nights did Laurel & Hardy Stay in the hotel when they came to Dublin to play in the Olympia Theatre ? Royal Marine Hotel - whatever you need, whatever your budget… We’re Here! 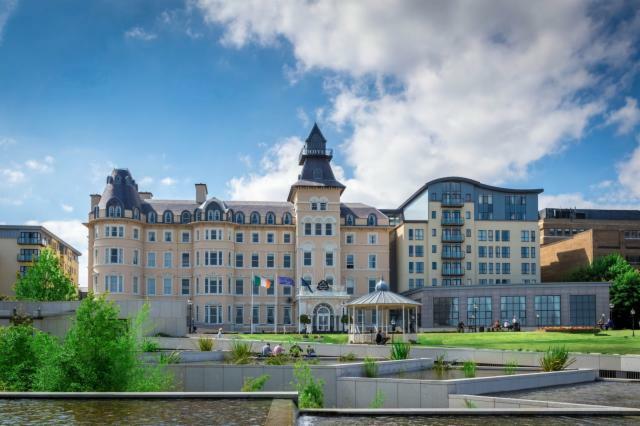 A short drive along the South East Coast of Dublin will bring you to Dun Laoghaire, where overlooking Dublin Bay you will find the Royal Marine Hotel & Spa. Steeped in history and a favorite with the locals, this landmark hotel is an impressive sight on the Dun Laoghaire skyline. Dublin City is accessible via the DART train line, which is within 2 minutes walking distance, car parking is complimentary and a coach service to/from Dublin Airport is available at the door. Dun Laoghaire is a coastal town based six miles south of Dublin City Centre. Boasting some of the counties most beautiful walks, the town has two mile long piers and the Peoples Park, ideal for a quiet evening stroll. With only twenty minutes by the DART train line direct into Dublin City Centre, this makes Dun Laoghaire accessible to the heart of the capital whilst allowing you to enjoy a more scenic location. Thirty minutes south of Dun Laoghaire is Wicklow, also known as the Garden of Ireland. The Royal Marine Hotel is regarded as one of the finest 4 star Hotels in Dublin and has hosted many Heads of State, Kings, Queens and celebrities including old blues eyes Frank Sinatra, Laurel & Hardy and Charlie Chaplin. Queen Victoria had a 16 course breakfast when she arrived off the boat at Dun Laoghaire and even Michael Collins is believed to have hidden out in Room 210 with Kitty Kiernan. Whatever your requirements, we’re sure that Dun Laoghaire and the Royal Marine Hotel & Spa will be able to meet with them. Spread the word - €5 PROMOTIONS to mark our 5th BIRTHDAY CELEBRATIONS!!! €5 PROMOTIONS to mark our 5th BIRTHDAY CELEBRATIONS!!! Thursday 21st June and Friday 22nd June 2012 saw the Royal Marine Hotel mark 5 Years in Business since the Hotel was re-opened. Management and Staff wanted to ensure that Friends of the Royal Marine were able to celebrate with them. On Thursday 21st June, over 200 Guests came to mark the occasion with a Drinks Receptions, Buffet Dinner, Pat Fallon – Award Winning Illusionist and Entertainment throughout the evening. Local Business, TD’s, Counsellors and regular Clients were amongst the Guests invited to this event including Mary Mitchell O’Connor, Dun Laoghaire Rathdown An Cathaoirleach Councillor Tom Joyce and many more. The Royal Marine Hotel is a Member of Select Hotels of Ireland. Select Hotels of Ireland comprises of 22 of Ireland’s finest independently owned hotels nationwide. Derry Cronin, Director of Select Hotels was also there. The Royal Marine Hotel has a special relationship with the charity Caring for Carers Ireland, who last year held their Annual Respite Weekend at the Royal Marine Hotel. Honorary Guests on the night included Patrons to the Caring For Carers Ireland, Dr. Maeve Hillary and Professor Joyce O' Connor together with members of the Board, Family Carers and Staff were among the Caring for Carers Team that attended on the night. A Charity Raffle was held on the night with all proceeds going to the Caring for Carers Ireland. Caring for Carers promotes the Health, Wellbeing and Quality of Life of Family Carers and those for whom they care. The Charity promotes Recognition, provides Respite Care, Information, Training and Advocacy to promote Social Inclusion, within the context of the Carers Charter. 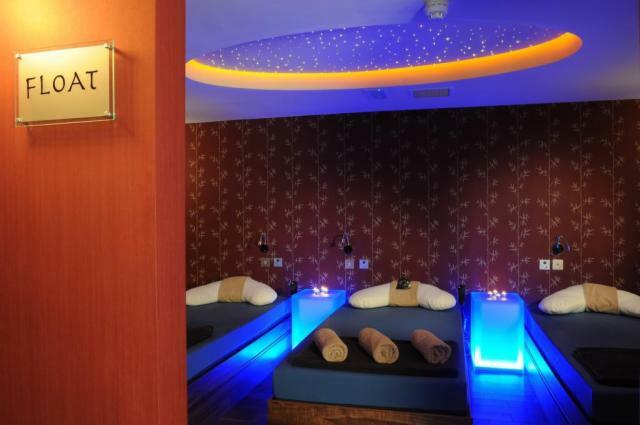 On Friday 22nd June, the Royal Marine Hotel, sansanaSPA and The Pier Health Club were all run off their feet with Guests availing of the €5 Special Offers. We at the Royal Marine Hotel had a lovely surprise this week. We had an enquiry from a couple that will be celebrating their 50th Wedding Anniversary. They got married here in the Royal Marine Hotel in 1962 and wanted to come back and reminisce about their 'Magical Day' in 1962. They also sent us in a copy of the Wedding Menu from their Wedding Day. Originally built in 1828, the Royal Marine Hotel closed in 2004 and after an extensice refurbishment, reopened on 22nd June 2007. Can you guess which of our colleagues this is? She's going to a Hen Party this weekend and doesn't know whether to dress up in the '80s style' or go as a 'Gangsta & Molls' - what do you think? Love is in the Air……..
Love is certainly in the air at the Royal Marine Hotel this month! On the 5th of February, we will hold our annual Wedding Fayre. If your special day is nearly upon you or you are thinking about tying the knot, our team at the Royal Marine Hotel will talk you through the event and how we can meet your particular requirements. The Royal Marine Hotel is the ideal Wedding Venue and has a long tradition of hosting Weddings. Set on 4 acres of gardens with direct access to Dun Laoghaire Promenade and Pier, 15 Suites to choose from, a large Banqueting Hall, a large Victorian staircase with high ceiling and natural light – it is also ideal for photos both internally and externally. All members of the wedding party will feel spoilt by the grandeur of this Victorian setting overlooking the Bay. We cater for weddings of all shapes and sizes, including Civil Ceremonies. Special Offers are available on the day of the Wedding Fair and ONLY available on this particular day including Vouchers like The Royal Marine all Inclusive Wedding Package at the reduced price of €75!!! The Wedding Fayre will take place on the 5th of February and we look forward to welcoming you to the Royal Marine Hotel! Holding a Business Meeting or a Conference in Dublin? So that's €1,000 OFF your Wedding with 100 guests... WOW! We cater for Weddings of all shapes and sizes... even Civil Ceremonies. The team here will be happy to discuss your details to tailor a wedding that is unique to you. 'The Wedding Fair with a difference' is not a uncomman saying in the hotel industry, i'm sure! 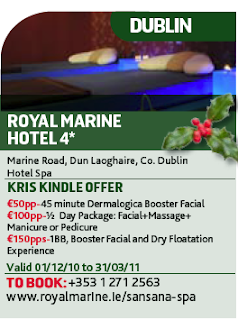 However, at the Royal Marine Hotel we plan to follow through with our promise and insure a difference of €10 per guests. Come to the wedding fair and receive a voucher worth €10 per guest to offset against our Royal Wedding Package. We are hosting our Wedding Fair on Sunday the 27th February between 2pm-5pm ,so why not come and join the team for a full wedding show around. Avail of this opportunity to see the hotel in all its glory. Our beautiful Carlisle Suite will decked out in all it's finery and set against the perfect backdrop of Dun Laoghaire Harbour. We cater for weddings of all shapes and sizes. The team here will be happy to discuss your details to tailor a wedding that is unique to you. For a quick preview of what we have to offer please check out our wedding page on our website through the link below. We look forward to seeing you on our Big Day and hopefully we can welcome you back for yours. It is true that we all love having something to look forward to, so with 5 girls in the sales office of the hotel it is no surprise that we are already talking about Valentines Day. Christmas is over and we have rang in the New Year, so now it is time for the Royal Marine Hotel to spoil you with our Winter Warmers! We all know that the festive season is all about the spirit if giving, well why not give yourself a well deserved treat and spend a warm and cosy night with us in the hotel? We are making the most of what the Winter season has to give and we are offering rooms for €79 room only and €99 B&B. To make it a family occassion we are ofering family rooms for €129 B&B for two adults and two children. Leave the cold weather outside, sit by the fire and join us for a complimentary Irish Coffee or Hot Chocolate during your stay. With free movies on demand, free use of the Pier Health Club and SansanaSPA Thermal Suite, a winter stay at the Royal Marine Hotel is the perfect way to warm up your New Year. The Royal Marine Hotel completely understands how important it is to be mindful of our natural enviroment during the day to day running of the hotel and we are committed to reducing our impact on the enviroment. Having spoken at the Green Hospitalility Conference last week, the hotels General Manager Aidan Ryan is actively insuring that all staff are aware that they each play a vital role in insuring that the hotel is run in an eco friendly way, and that we can all make a difference. All departments of the hotel are very aware of how they can play a part in keepng the hotel acting Green.From our teams in the office who recycle on a daily basis and insure that as little paper as possible is used ,to our accommodations department who have a linen re-use policy for guests who stay in the hotel more than one night. -Two water harvesting units for water conservation. We have all heard the saying " Think before you act". At the Royal Marine Hotel we have a new saying which is " Think green before you act". The Royal Marine Hotel is beautiully located in Dun Laoghaire with a beautiful surrounding enviroment and we plan on keeping it that way! The Coach and Bus Expo 2010 is taking place this weekend in the RDS and is Irelands biggest,largest and most successful bus show.The Royal Marine Hotel has a stand in the Tourism Village located in hall 5 of the Simmonscourt Pavilion. Attendance is free so why not pop in and say hello to members of our sales team to find out about special offers or why not enter our competition to win a weekend away in the Royal Marine!! Hollywood has arrived at the Royal Marine with scenes been shot for the upcoming movie "Superhero" starring Andy Serkis(Lord of the rings) and Sarah Bolger (In America)due for release next year. We look forward to seeing ourselves on the big screen! Rumour has it Brad Pitt is making a guest appearance so hopefully he'll pay us a visit in the coming weeks! The Royal Marine Hotel is a great venue to celebrate Christmas and the New Year. Whether its a Christmas party with colleagues or a dinner with friends and family the Royal Marine has plenty to offer. With a wide choice of food available on menus,great enternainment including the band "The Big Chill",a dj and a late bar. The Royal Marine Hotel will be holding its Wedding Fair on Sunday the 12th September 2010 from 2pm-5pm. We are delighted to open our doors for the afternoon to all couples who are looking for the perfect venue for their special day. The wedding fair will give couples the perfect opportunity to see our beautiful venue as it will look on their wedding day and to meet with our dedicated wedding coordination team who will be happy to show all wedding couples around the facilities of the hotel. Our simple yet elegant table settings will be perfectly set against the backdrop of our beatiful sea views, our bridal suite will be available for couples to get a sneak peek of the elegance which they can look forward to settling into on their wedding night and there will be wine and canapès available for all to taste. We will have fantastic special offers available on the day that you won't want to miss! We hope to see you on Sunday! Now in its tenth year, the Festival of World Cultures returns to Dun Laoghaire between the 23rd & 25th July 2010. The Royal Marine Hotel is delighted to be part of this exciting experience. The Hotel will be transformed into a cultural delight over the weekend. The Hotel gardens will host the Royal Marine Hotel Garden Stage where steel pan players and gypsy traditional dancers can be seen along with many more exciting talents from all over the world. Workshops and discussions from around the globe will take place in the Hotel; allowing participants to discover the musical instruments that lie in their kitchen, delve into their inner rhythm with the Samba Batacada Percussion Group and test their creative abilities with felt adventures with Caitrìona Nì Threasaigh. This to name but a few! Why not “Journey through Europe and beyond”, at the European film festival which takes place in the hotel gardens. A series of multicultural films will be shown throughout the course of weekend starting at 1pm each day. The Hotel will welcome an array of musical talents that will keep visitors entertained late into the evening. Come and have the cultural craic in Hardy's Bar where The Afro-Cuban Latin Jazz Band and Tucan can be heard expressing their musical soul. Aswel as feeding your cultural curiosity, there will be no shortage of food, drink and merriment with an all day BBQ taking place in the hotel gardens. Come and be part of this exciting event! The Royal Marine Hotel wishes all festival goers a fantastic weekend and congratulates the Dun Laoghaire Festival of World Cultures on their Tenth Anniversary. We hope you are as excited as we are!!! A short drive along the South East coast of Dublin will bring you to Dun Laoghaire, where overlooking Dublin Bay, you will find the Royal Marine Hotel. Steeped in history and a favourite with the locals, this landmark Hotel is an impressive sight on the Dun Laoghaire skyline. Since 1828, a Dublin Hotel has occupied the site now occupied by the Dun Laoghaire, Royal Marine Hotel. 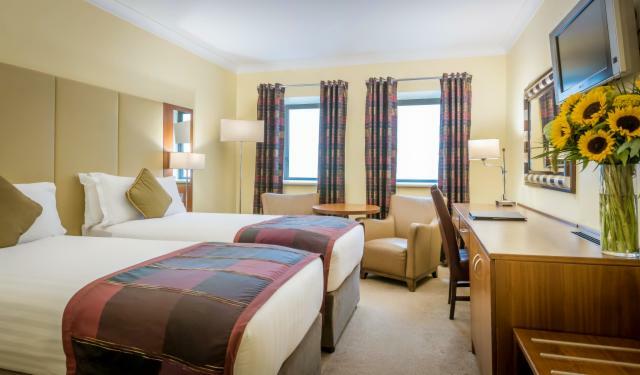 Located in Dun Laoghaire, a short distance from Dublin City Centre, overlooking the stunning South East coast, the luxury 4 star Royal Marine Hotel in Dun Laoghaire offers a mix of elegance and style, that will have you return many times. One of the best located Dublin Hotels, whether your visit is for a Dublin City Break, a Conference, a Wedding, a family gathering or even a relaxing SPA treatment, we have the hotel services to accommodate your needs.